Chemische Fabrik Berg is a member of the Moehs Group (Spain), a subsidiary of PMC Global Inc., Sun Valley, CA. 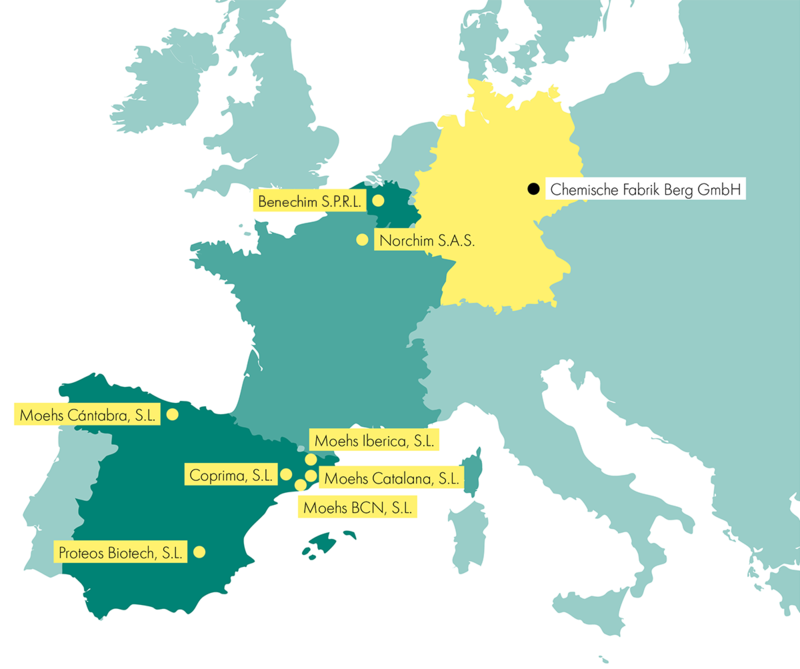 The group has eight manufacturing sites highly flexible due to being multi-purpose plants: five in Spain (Moehs Catalana S.L., Moehs Cántabra, S.L., Coprima, S.L., Moehs BCN, S.L. and Proteos Biotech, S.L. ), one in Belgium (Benechim), one in Germany (Chemische Fabrik Berg) and one in France (Norchim). All companies integrated in the group specialize on the development and the production of pharmaceutical ingredients. They share synergies to optimize existing resources and develop a common global strategy for marketing APIs, fine chemicals, generics and custom-made products. Like each member of the Moehs Group, Chemische Fabrik Berg is committed to providing excellent product quality and first-class service to customers.